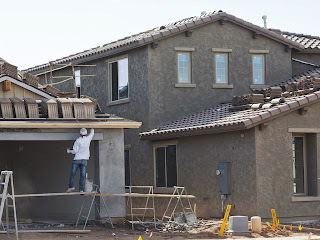 The long-awaited recovery of metro Phoenix's homebuilding market is still a few years away, according to leading housing research firm RL Brown Reports. A new forecast calls for 11,000 houses to be built across the Valley in 2015, up slightly from the 10,840 constructed in the area last year. And the report's publishers, RL Brown and Greg Burger, call that a "moderately optimistic" forecast.